McTear’s understands that when it comes to valuations for Inheritance Tax, speed and accuracy are of the essence. We work with Scotland's largest solicitor firms to offer a complete valuation and auction service to executors, estate trustees and legal professionals. 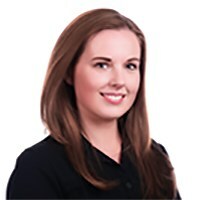 Executries Manager, Magda Ketterer, can arrange for valuations of entire property contents, or of individual items, to be completed usually within a few days of instruction. The report can then be sent by post or email. As a dedicated contact for legal professionals, Magda ensures the smooth running of executry sales from initial instruction to conclusion. McTear’s valuation service extends across the country and attends to clients' needs in an efficient and discrete manner. We offer a complete service to clients who require items collected for auction and assistance in dealing with property contents. McTear’s also undertakes valuations for Insurance and Capital Gains Tax Planning. Where no formal valuation is required, a home visit with verbal advice can be conducted free of charge. With a first class service and competitive fee structure, McTear’s strives to be your first call for executry instruction. McTear's is Scotland's only auction company to have a dedicated point of contact for executry work. To contact McTear's Executries Manager, Magda Ketterer, call 0141 810 2880, or email magda@mctears.co.uk. Use the form below to get in touch, or call us on 0141 810 2880.